We’d love your help. Let us know what’s wrong with this preview of Creating a Life Together by Diana Leafe Christian. 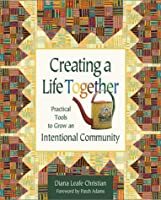 Creating a Life Together is the only resource available that provides step-by-step practical information distilled from numerous firsthand sources on how to establish an intentional community. It deals in depth with structural, interpersonal and leadership issues, decision-making methods, vision statements, and the development of a legal structure, as well as profiling wel Creating a Life Together is the only resource available that provides step-by-step practical information distilled from numerous firsthand sources on how to establish an intentional community. It deals in depth with structural, interpersonal and leadership issues, decision-making methods, vision statements, and the development of a legal structure, as well as profiling well-established model communities. This exhaustive guide includes excellent sample documents among its wealth of resources. To ask other readers questions about Creating a Life Together, please sign up. One of my favorite community building books is "Creating a Life Together" by Diana Leafe Christian. She has done a lot of consulting work with intentional communities, helping them overcome conflicts, work their way through intractable conflicts, and there is even a thorough discussion on finding land and setting up legal arrangements. I love this book because she is a bit critical (not negative, but critical) of the dreamy notions of community building, and promotes a practical approach. 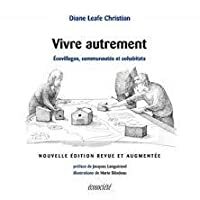 There One of my favorite community building books is "Creating a Life Together" by Diana Leafe Christian. She has done a lot of consulting work with intentional communities, helping them overcome conflicts, work their way through intractable conflicts, and there is even a thorough discussion on finding land and setting up legal arrangements. I love this book because she is a bit critical (not negative, but critical) of the dreamy notions of community building, and promotes a practical approach. This books is very good for people who want to actually do something radical and create a shared community. It does not spend a lot of time on philosophical or religious justifications for doing so, and it assumes a good amount of financial resources at one's disposal, but it does give lots of relevant advice. This was the first book I ever read about intentional communities. It made me realize that these communities were what I'd been looking for, and has changed the intentions of my life in major ways. Now I'm very focused on building a community I can live in, one that really makes life better for everyone. This book has added value in providing tools and structure that applies to any group work. It would help anyone in a Leadership capacity. This book is so practically based that it helps dispel the fears as I move into a co-housing community. A useful book of advice if you're trying to start a close-knit community, or honestly any kind of non-hierarchical organization to a lesser degree. Christian does a good job of avoiding being too dry, though this can be a challenge when trying to explain the different tax and regulatory effects of registering as an LLC vs a 501(c)3 or the like. Perhaps not the best book to read cover-to-cover if you aren't considering setting up your own community, but probably a vital reference if you are. It is A useful book of advice if you're trying to start a close-knit community, or honestly any kind of non-hierarchical organization to a lesser degree. Christian does a good job of avoiding being too dry, though this can be a challenge when trying to explain the different tax and regulatory effects of registering as an LLC vs a 501(c)3 or the like. Perhaps not the best book to read cover-to-cover if you aren't considering setting up your own community, but probably a vital reference if you are. Worth it if even only for chapters 5, 6, 17, 18 - which cover procedures, common pitfalls, schemas, and places to go for further education on consensus decision making, conflict resolution, and recruitment. The advice is specifically geared for people going off to live together, but can be applied to any 'flat'/bottom up group, like a cooperative, dungeons and dragons group, or even band. reading for a book club looking at this from a poc/immigrant/queer perspective - what makes a living community? Practical workbook/guide for those interested in founding and living in intentional communities. Extremely useful practical advice, including hard statistics on what has proven workable and what has not. Everything from land acquisition tips to sample vision documents to legal options for incorporating and information on types of foundations. Also important, essays on the roles (and non-roles) of founders. US focused, though some aspects may be helpful internationally. Recommended. I did not finish this because I'm no longer interested in the details. I think much will have to change in the world before ecovillages become available to the average person, so knowing the legal restrictions now isn't useful. Still giving this a high rating because if its a topic you are interested in, the writing is clear and it is written by one of the top experts in the field. This book will probably take me a very long time to finish reading. Maybe every book does. I am not sure that I have ever finished reading a book. So far it is really interesting. It is not giving me all of the long-sought answers I crave about what doesn't work in community life or collaborative work, but it is teaching me to ask better questions, I think about what might work or why. I am most enamored of chapters 4 through 6 which I've barely begun to read but which contain ideas about communit This book will probably take me a very long time to finish reading. Maybe every book does. I am not sure that I have ever finished reading a book. I am most enamored of chapters 4 through 6 which I've barely begun to read but which contain ideas about community vision, creating vision documents and power, decision making and consensus. I really wonder if and how I could bring these ideas into conversation in my home, school or work life. If you live with or near to me and want to borrow it, feel free! This would have been a five-star book, except for its total lack of editing, which was very disruptive. Otherwise, it was very thought-provoking (but still not the book I'm looking for about how to build rural community with the people already around you). I'm working through this book in order to learn how to start a successful intentional community someday. Fantastic book! Covers so many topics for people wanting to learn about (and possibly join or start) intentional communities. I highly recommend this book! excellent book om forming intentional communities with the good and the bad thouroughly explained. This would be a great resource for anyone starting an intentional community. Also an excellent reality check for anyone with daydreams about community.. Provides solid historical evidence, but lacks forethought around the possibilities for a growing movement. 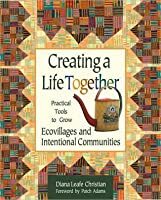 This book has helpful tools for group process, even if you aren't part of an intentional community.